You might be surprised to hear the term personal prefixed with the category of business letters. But you should also know that there are at least ten different formats used to fulfill this purpose. These forms of Business Letter Samples are generally used to address colleagues and employees within the office and mostly seen in the HR department. These Personal Business Letter Format Templates have been categorically written by expert writers to give your business letter the intended effect and make work easier for you. Choose your most apt Personal Business Letter Format Template and download from a wide choice of printable formats such as PDF, MS Word, PSD and more and edit them to your liking. This letter format can be used to thank the doctor for his/her valuable advice to prevent you from seasonal diseases. This letter is written to express the regards towards a doctor who took the time to educate the people about how to avoid cold and flu. A person can use this template also to thank any other professional for his/her valuable guidance which helped the person. This letter template is very useful while writing to the company to let them know that you have accepted the proposal of merger. This letter is written by professional and the language used in this letter is very precise. 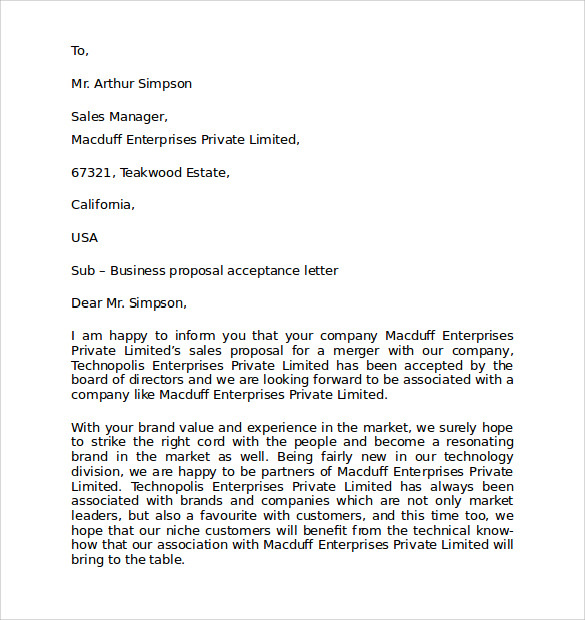 In this template the letter is addressed to the sales manager who sent the proposal for merger. For any growing business it is great to get referred by existing client to the new client. This letter can be used while referring your existing vendor to another business so that they can also get their work done from your vendor. A good referral letter from existing client always give boost the business and a sales representative can showcase these letter to the new client while proposing them for business. 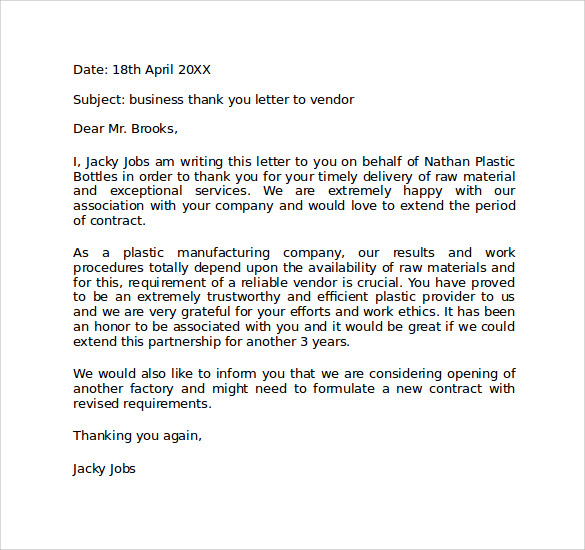 This template is designed to educate a person about how to write a personal business letter. This letter clearly defines each step of writing a business letter. The writer of this template divided this template in four parts which includes the header information and 3 paragraphs about the body of letter. All these paragraphs also indicate about the subject which has to be written in them. 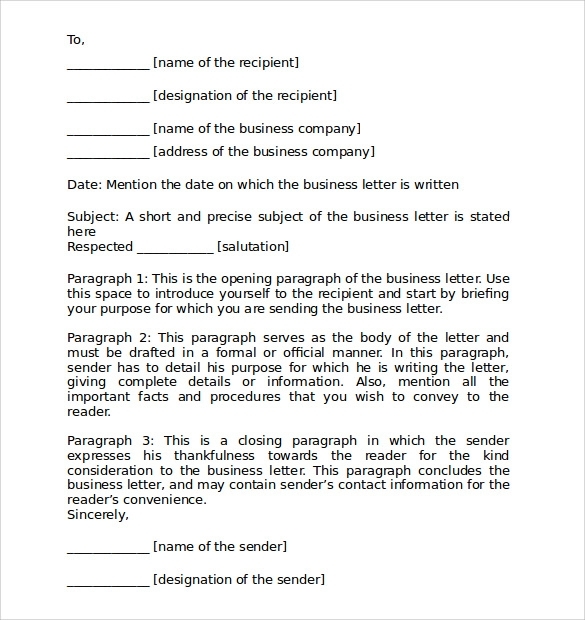 A person who has just started to learn about the business letters can take a reference from this template. Why we need Personal Business Letter Format? Writing a personal business letter always add value to one’s reputation. A good template for different kind of personal business letter is always required. 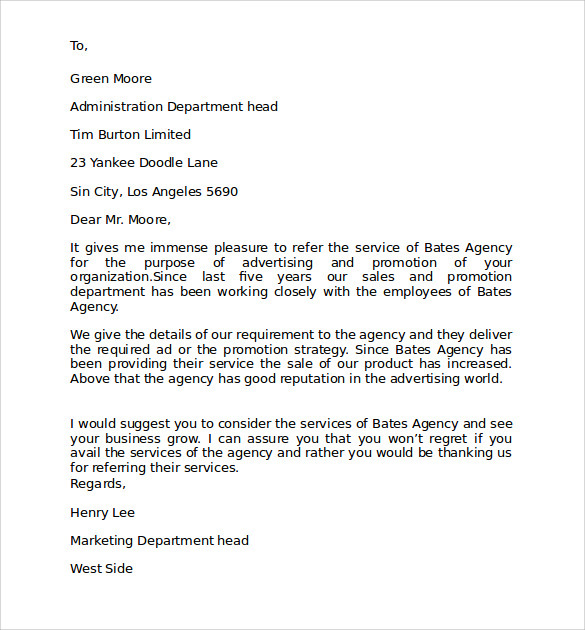 Being these are business letter we need to choose the language very carefully and these templates are very helpful while doing the same. 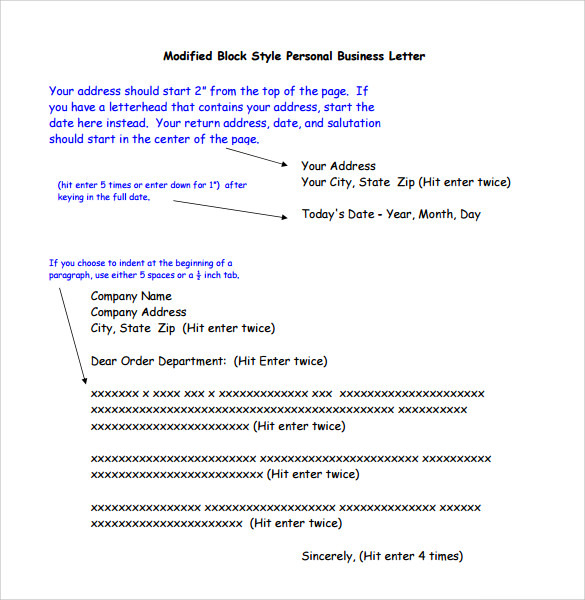 You may like Format for Business Letters. While writing to another business owner or representative directly these templates are very helpful. To express thanks to any professional for the services of help he/she had done for you. 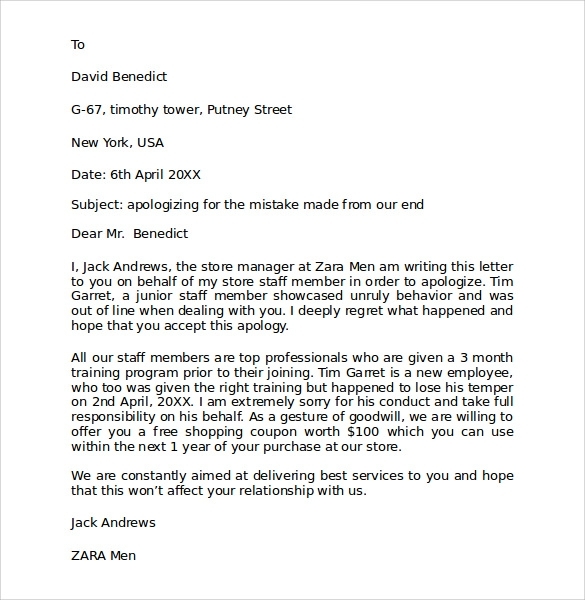 To write a formal letter about referring the vendor to another business. How These Personal Business Letter will help you? Writing a personal business letter is not an easy work and template showcased here are precisely written for different purposes. These templates are very useful for different needs and as these letters are written by professionals one can easily take help from these templates. A professionally written business letter always creates the good impression and these templates are very helpful while choosing different letter format to express different intentions for different businesses.